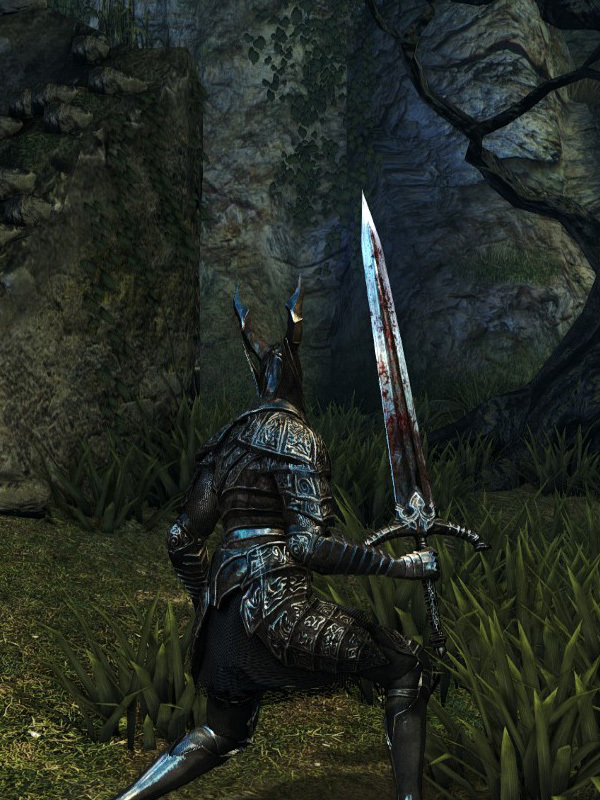 Like all Black Knight weapons, it deals additional damage to demon enemies, like the Taurus Demon and Capra Demon. Due to the low STR requirement in par with high damage, this weapon is incredibly useful if the player acquires it early in the game. There is a bad translation mixup/error in the German version of the game: this sword is called "Schwarz-Ritter Großschwert" (Black Knight Greatsword), and the Black Knight Greatsword is instead called "Schwert des Drachentöters" (Sword of the Dragonslayer). In the French, Italian and Spanish versions, this sword is called "Espadon du Roi-Chevalier", "Spadone del Re Cavaliere" and "Espadón del Rey Caballero" respectively, which can all translate to "Longsword of the Knight King." 58% STR, 7% DEX scaling.